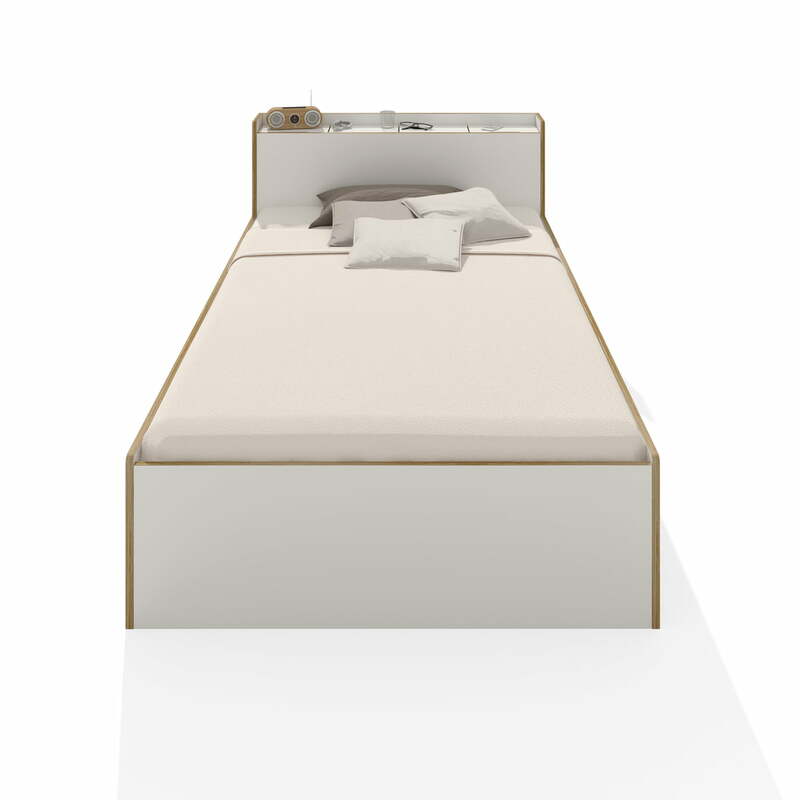 The Nook bed offers more than is apparent at first glance. From the front, it demonstrates calmness and stability, while from the side the single bed from the Müller Möbelwerkstätten has a dynamic and light look The slightly rounded corners and edges in elegant birch plywood make a beautiful contrast to the white surface of the Nook. 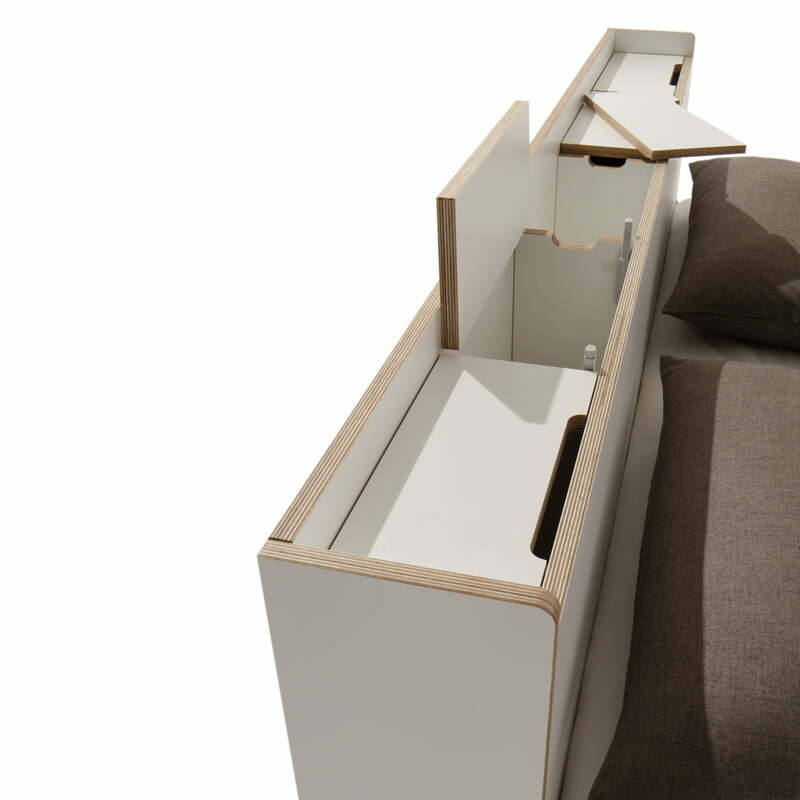 The headboard is a real space miracle: The upper generous shelf offers plenty of space for books, alarm clock, night table lamp & co. All devices can be powered easily and unobtrusively through the slender holes in the tops of the Müller Möbelwerkstätten Nook Single Bed. Under the cover plates, which are partially completely removable and partially equipped with folding hinges, plenty of additional storage space is available. Nooks compartments are equipped with cable outlets, so that power supplies and multiple plugs allow to be stored inside. 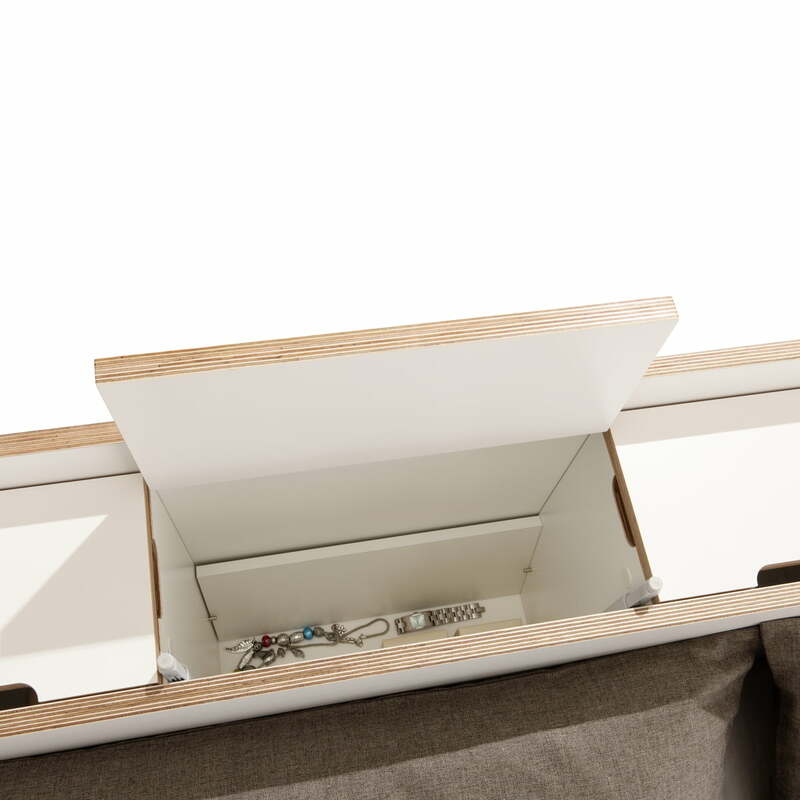 The secret compartment, which is protected by a double bottom from prying eyes, offers even more storage space. 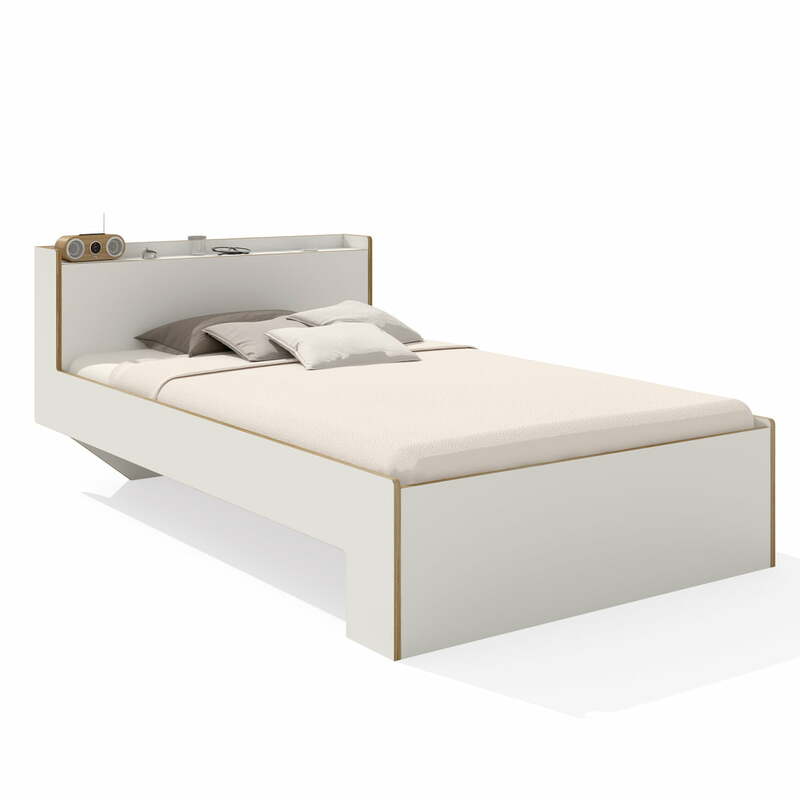 The Nook single bed is easily and quickly to assemble, the head part is already pre-assembled. Other sizes and lengths of the single bed are available upon request. Details Headboard with storage, Please note: decoration, mattress and slatted frame are NOT included! Müller Möbelwerkstätten - Nook Twin Bed - head, open, details imageThe secret compartment in the head part of the Nook double bed by Müller Möbelwerkstätten, which is protected by a double bottom from prying eyes, offers even more storage space. Detail view of the Nook double bed from Müller möbelwerkstätten. The Nook double bed is easily and quickly to assemble, the head part is already pre-assembled.